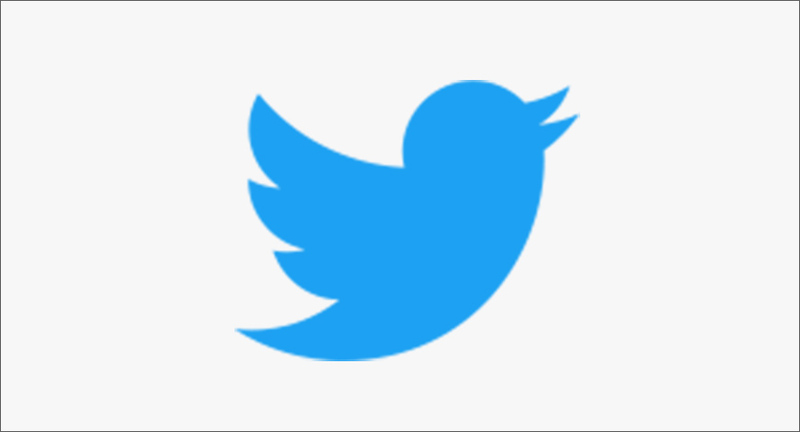 Twitter is where Entertainment conversations happen and Amazon Prime Video (@PrimeVideoIN) is the latest brand to tap into the global entertainment fan community on the platform. 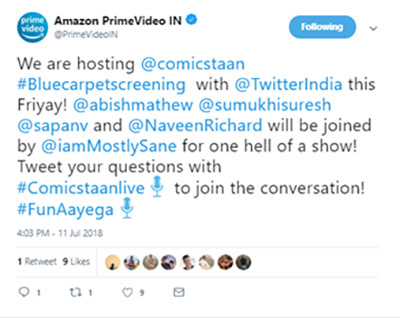 Amazon Prime Video India, in collaboration with Twitter India, will livestream a special Cast Q&A for its upcoming comedy reality TV series Comicstaan (@comicstaan) on Twitter, providing fans in India and across the world the opportunity to be the first to watch this live and directly engage with the Comicstaan star cast. Hosted by Prajakta Koli (@iammostlysane), the livestream Q&A will feature Abish Mathew (@abishmathew), Naveen Richard (@NaveenRichard), Sumukhi Suresh (@sumukhisuresh) and Sapan Verma (@sapanv). 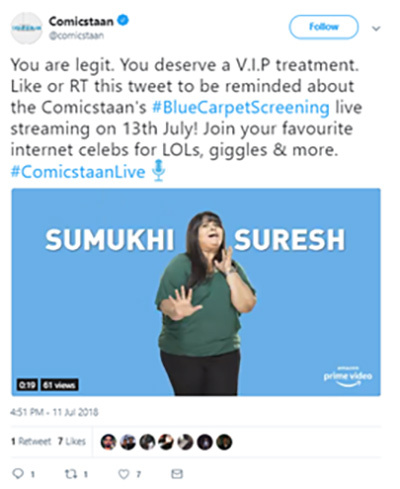 Fans in India and around the world will be able to catch the exciting livestream experience of Comicstaan (@comicstaan) exclusively on Twitter this Friday, July 13, 2018 at 8PM IST. As part of the livestream Q&A, people can hear from the comedians on how to mentor someone on ‘cracking a good joke’. Fans can join in the livestream experience by Tweeting their questions for the cast with the hashtag #ComicstaanLIVE as part of the live Q&A and join in the conversation. A custom emoji specially designed for Comicstaan’s launch is available now on Twitter when people Tweet with the following hashtags: #Comicstaan, #ComicstaanLIVE, #ComicstaanTrailer, #TheFutureLooksFunny, or #FunAayega. The emoji will be live from now until 20 September 2018. The livestream Q&A experience on Twitter will be accessible through (@comicstaan) and (@PrimeVideoIN), available to logged-in and logged-out audiences, and include a real-time curated timeline of Tweets involving live conversation surrounding the comedy show.